I’ve posted before about using PenFed to finance to keep my savings intact, but at this point I’ve procrastinated enough to where I can take the hit and pay for it in cash. So craigslist/private sellers are fair game. 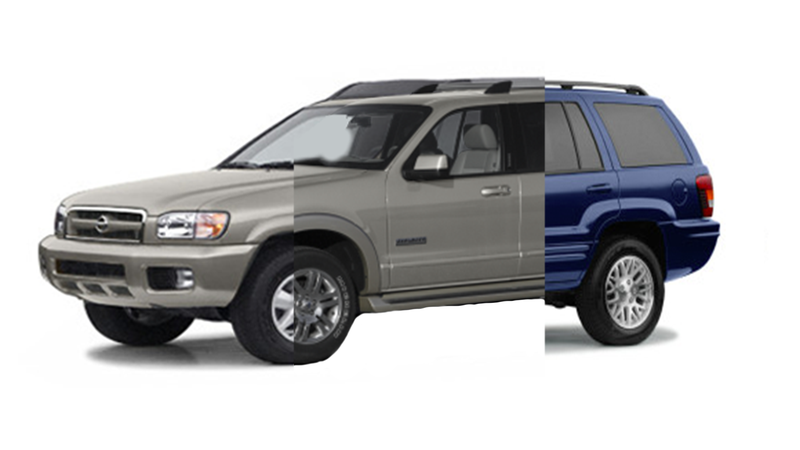 Right now, my top three candidates are WJ Grand Cherokee, second-gen Pathfinder (ideally 2001-2004) or 2006-2007 Ford Explorer, hence the horribly shopped lead image. Mainly leaning towards the GC. Thanks for the input Oppo, I plan on doing a whole series of posts for those interested in the process of a cross country move!